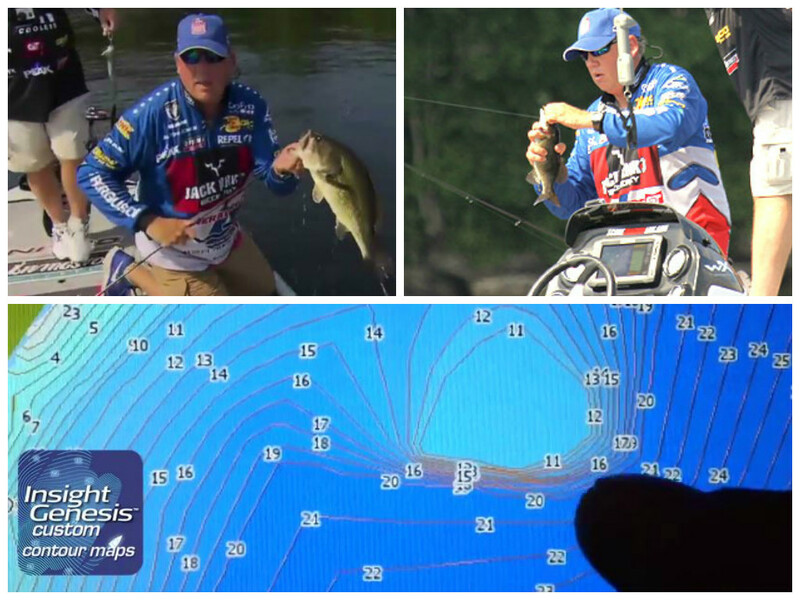 Alton Jones won Elimination Round 3 of Major League Fishing’s 2015 Summit Cup by getting away from the crowd fishing visible cover and instead targeting offshore structure he found with an Insight Genesis contour map on a Lowrance HDS Gen 2 Touch chartplotter. “I saw a good-looking spot on my Lowrance contours, on the GPS mapping, and found a little hump that was absolutely loaded with fish – the kind of school you dream about finding,” Alton said in an interview at the end of the Outdoor Channel’s broadcast of his MLF Round 3 victory on Messalonskee Lake in Maine. That’s a pretty neat feat for an angler who was using a Lowrance HDS Gen 2 Touch unit for the first time. Custom contour maps made on open water this summer and fall will help you catch fish through the hardwater this winter. Scott and his twin brother, Marty, are filming a video segment for Wired2Fish on this day. 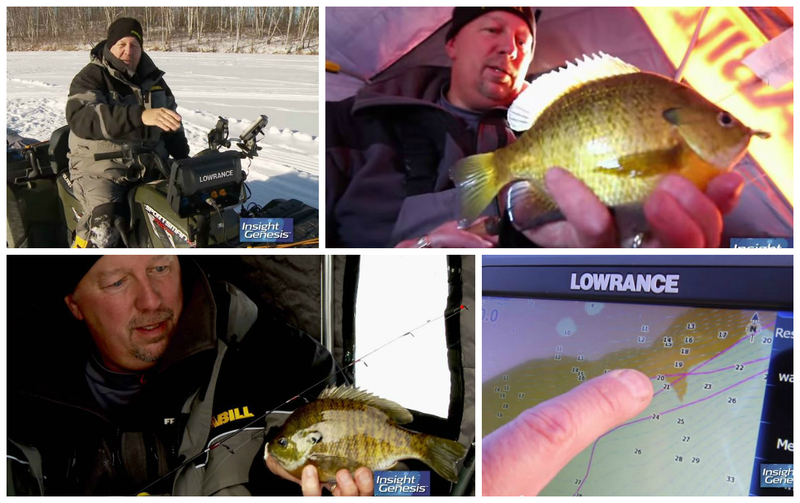 Prior to putting fish on the ice, they spent some time scouting hot spots, driving around on a frozen northern Minnesota lake, studying a custom-made Insight Genesis fishing map on a Lowrance HDS Gen2 sonar/GPS unit mounted above the handlebars of an ATV. 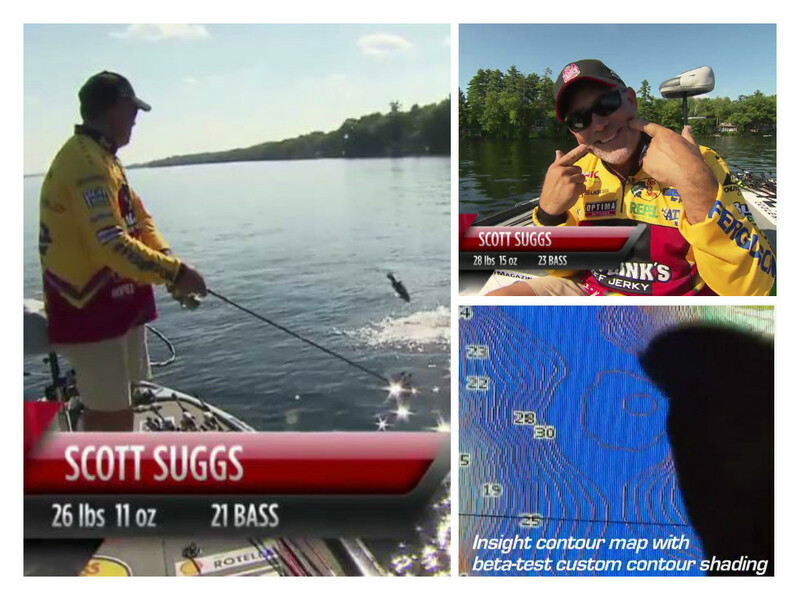 “I’ve got my [Insight Genesis] mapping on that unit and go on the ice just like I would be on open water with my boat,” Scott explains. Insight Genesis is GoFree’s innovative service that empowers anglers to make custom contour charts of un-mapped and poorly mapped bodies of water, as well as precisely determine, define, dial in, and dissect small spot-on-the-spot areas on well-mapped waters. The one-foot contours on custom Insight Genesis maps are much more detailed and accurate than the computer-estimated contour lines on many digital charts that come on off-the-shelf map chips.